Our EKASAND electric E-Series random orbital sanders are ergonomically designed to provide their users with more balance, comfort, and control. All non-vacuum sanders are available with a vinyl face pad for use with PSA (sticky back) or a Uneevel (hook & loop) pad. The brushless 350W motor on the 5″ and 6″ sanders features 4 adjustable speeds of 4,000, 7,000, 9,000 and 10,000 RPM for increased performance and precision. 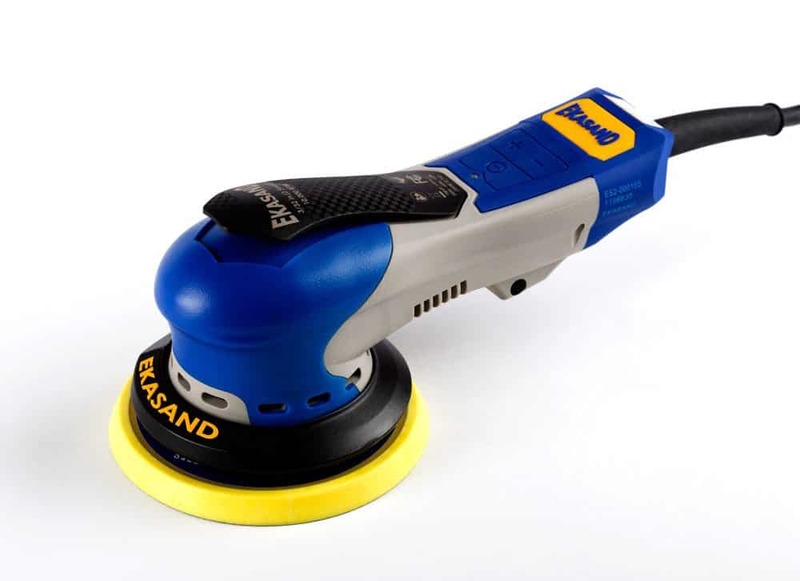 The EKASAND E-Series Random Orbital 3”x4” sander is the perfect compact tool to sand flat, as well as recessed and intricate surfaces. It delivers a consistent performance while being extremely energy efficient.